Skylights and sun tunnels are both effective ways to keep your house well-lit while managing your energy costs. They are especially useful for residents of Placerville and many other areas in California where the sun is quite strong. The ability to light your house with natural light throughout the year will allow you to save money on your electric bills while keeping your house warm and inviting. You may ask, “what’s the difference between skylights and sun tunnels?” A skylight is characterized as one or more windows built into a roof, while a sun tunnel is actually a tunnel design that leads light through the roof and into the house. Sun tunnels come in both rigid and flexible designs so are able to be used with a variety of roof designs and styles. Velux brand skylights and sun tunnels are both designed to protect the quality of carpets and furniture from the harmful UV rays of the sun while still filling your home with light. They both also increase visibility in your home making it possible to use less lights thereby saving energy and making it less dim and easier on your eyes. Neither of these are just for practicality, cost, or creating a warm setting – the designs themselves are a beautiful talking point for homeowners to share with friends and visitors. Skylights and sun tunnels are also great if you’re a business owner looking to eliminate dull lighting and create a solidly designed workplace that you can be proud of. We’re all in the 21st century, so why not explore 21st century solutions? The installation of these natural lighting fixtures is simple and well worth it. It helps increase the brain’s serotonin (a natural antidepressant). Children can grow taller when exposed regularly to sunlight. It helps reduce SAD (seasonal affective disorder). 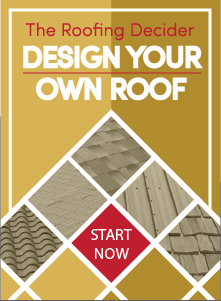 Straight Line Roofing is the one stop you will want to make if you want the best. We are a fast-growing company, thanks in part to our belief in quality construction and great customer service. Contact Straight Line Roofing to learn more about high-quality Velux brand skylights and sun tunnels!